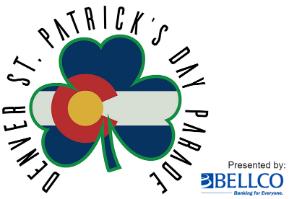 Here you'll find any current information concerning the parade as we get closer to parade day. Check back often as the parade day gets closer. Please refrain from throwing beads, candy or other items at the parade floats. The City of Denver does not want us to throw things off of or onto the parade floats for your safely. If you have any questions, concerns or safety issues please contact one of our Parade Marshals, they have radio communication with medical and police assistance. 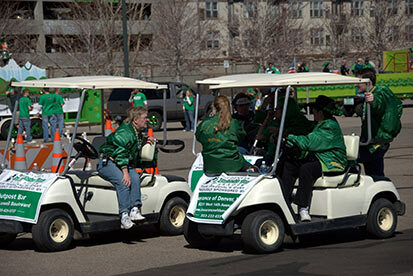 Our Parade Marshals wear green jacket wity our logo and many will be driving carts. If you plan on staying for the whole parade, remember that the weather in Colorado changes quickly, we recommend to dress in layers. In over 50 years of parade history, it has only snowed twice, temperatures average in the 60s during parade day. Bring plenty of water, especially if you are just visiting Colorado, drinking water can help with altitude sickness. Enjoy the day! You don't have to be Irish to enjoy our parade!